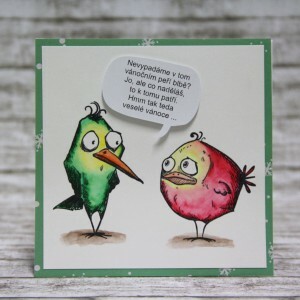 I would like to invite you to blog I Kropka, where is my funny canvas wih crazy birds. 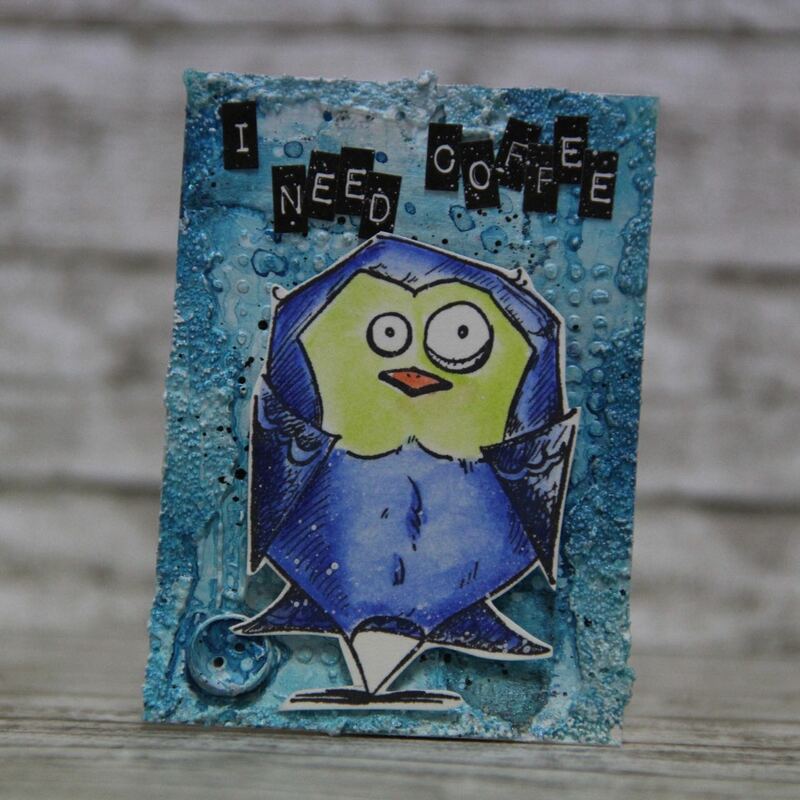 This entry was posted in I KROPKA and tagged canvas, crazy birds, I kropka. I was one week by my mum and I took with me just stamped images. 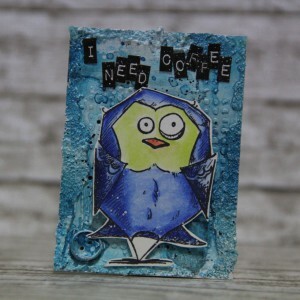 I coloured many stamps and mainly amazing crazy birds. 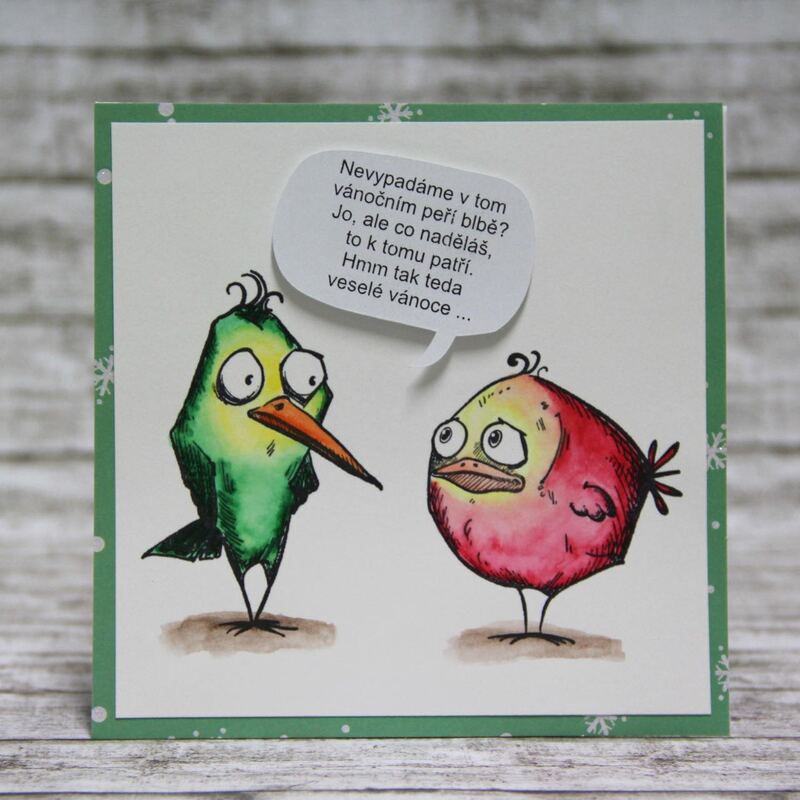 Today I made with them funny cards. Clean and simple with different sentiments. 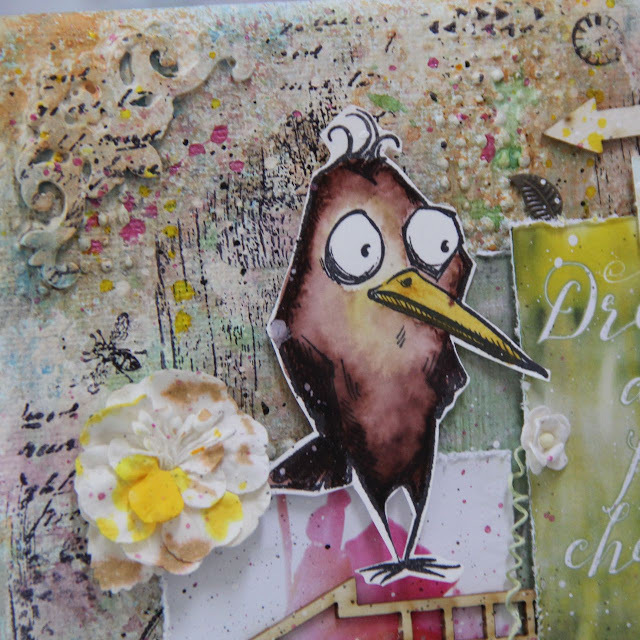 This entry was posted in Cardmaking and tagged cardmaking, crazy birds, Tim Holtz.